Securing a microcontroller-based application for the IoT is important but tricky. 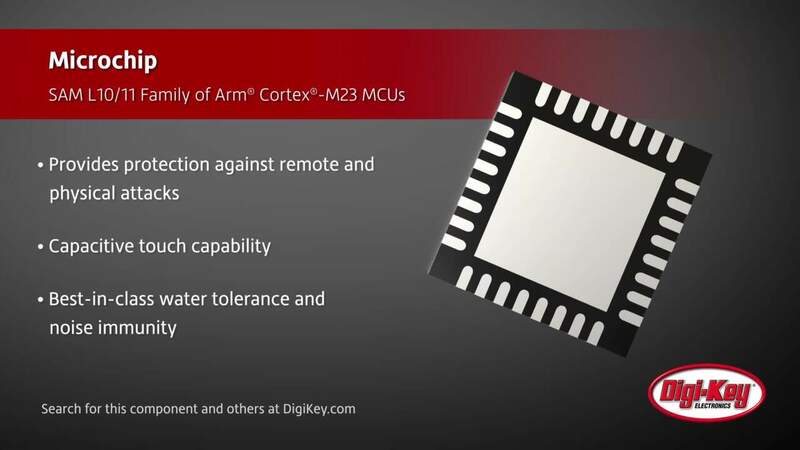 Security starts at the hardware level, but many traditional microcontroller families running Cortex-M0+, Cortex-M3/4/7 cores may lack the features necessary to successfully secure the device. Developers can now leverage the new Armv8-M architecture on the Cortex-M23 and Cortex-M33 cores to secure their embedded applications using a rising number of processors using the architecture. SAM L10/11 Family of Arm® Cortex®-M23 MCUs Microchip's SAM L10 and SAM L11 Arm® Cortex®-M23 MCUs offer the industry’s lowest power consumption and have capacitive touch capability.